You are currently browsing the The Pet Product Guru blog archives for January, 2019. If you’ve just adopted a new family friend and notice that he’s shy or becomes nervous around people and other animals, there are things that you can do to ease his tension. 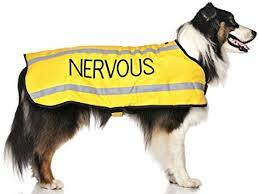 The dogs nervousness can stem from many issues from being abused or experiencing a frightening situation. Whole Dog Journal, has put together some tips to take into consideration if your dog is shy or nervous. Management, simply put, is avoiding the problem or thing that triggers the problem (scary people, in this case) by controlling the dog’s surroundings. Management alone won’t solve fears, but it can help prevent your dog’s fear response – such as cowering, submissive urination, barking, or growling – until he can become more comfortable around those people who scare him. • Avoid crowded areas where your dog may be overwhelmed by strangers. 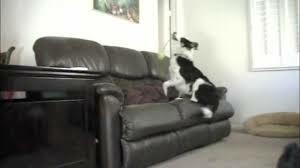 • Use a leash, crate, or baby gate to prevent your dog from interacting with strangers in your home. • Put yourself between the person and your dog. • Create distance by crossing the street or going a different direction. Once you have management in place and your dog’s overall stress levels go down, get ready to train, desensitize, and counter-condition! The best oldies on the best station….Edgewater Gold Radio. The greatest oldies of all time from the 50s 60s 70s and 80s. Download the free Edgewater Gold Radio app from your app store or listen from our website: Edgewater Gold Radio.com. For some reason, some people who walk their dogs in the snow, think that the snow will dissolve the poop. They move on and leave the poop in the snow. 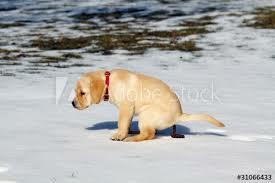 Whether the weather is bright, warm and sunny or cold and snowy, it is the owners responsibility to pick up the poop! Dog owners must take the responsibility of taking your dog on daily walks and cleaning up after their pets. Some dogs love snow, others do not. Make sure the walks are shorter in snow and cold weather and also make sure your dog is dressed for the weather. A warm fleece sweater or dog coat is necessary in extreme temperatures. Also dog booties help protect your friends paws on icy, salt covered sidewalks and streets. Don’t keep your dog cooped up in winter. A few brief walks keeps the blood flowing and their bladder happy! Do your part pick up after your dog and take the necessary steps to ensure that he has a happy, safe winter! Keep Edgewater Gold Radio playing all weekend long. It’s a 60s and 70s weekend and our classic disco show kicks off tonight at 7PM! Let your memories flow! Edgewater Gold Radio it’s the best music on the best station! add comment Comments Off on Snow Doesn’t Dissolve Poop! 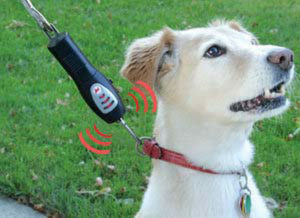 In the changing world of technology, there are many interesting items on the market that can entice your best friend. Awesome365.com had put together a list of these items which we’re going to share with you today. The Pet Surveillance Camera allows you to keep tabs on your dog while you’re at work and make sure he or she is keeping out of trouble, it’s WIFI enabled, has an easy-to-use mobile app and works with motion and sound detection sensors. 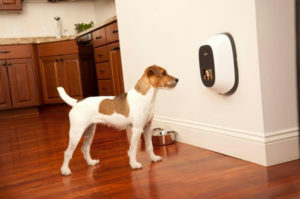 So if you’re looking for dog gadgets that allow you to stay in touch with your pooch, look no further. 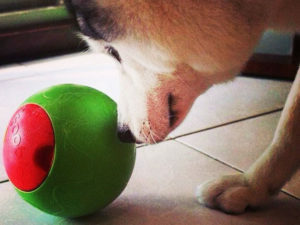 This clever dog toy allows you to place your mutt’s favorite treats inside and set the timer to release them after a certain period of time, this helps to rehabilitate a dog’s natural instinct to hunt and forage for food. It has 6 separate pods that can be set to release at 15-minute intervals. Sometimes it’s the simplest of ideas that are the Best and this water bottle for dogs is certainly a cool dog product and a real favorite of ours. Who would have known that the coolest dog gadgets come in the simplest form? 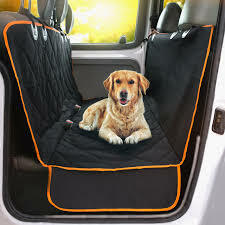 Don’t you hate it when your dog gets fur and saliva all over your beautiful upholstery in your car? Yes, you probably do. You still love your dog but…the car. Well, this car seat cover doesn’t only do a great job of protecting your seats from unwanted fur and fluids but also looks quite stylish. This clever dog product helps to prevent your dog dragging you around like a rag doll, by emitting a harmless tone that only he can hear encouraging him to walk by your side like a true relaxed dapper dog. 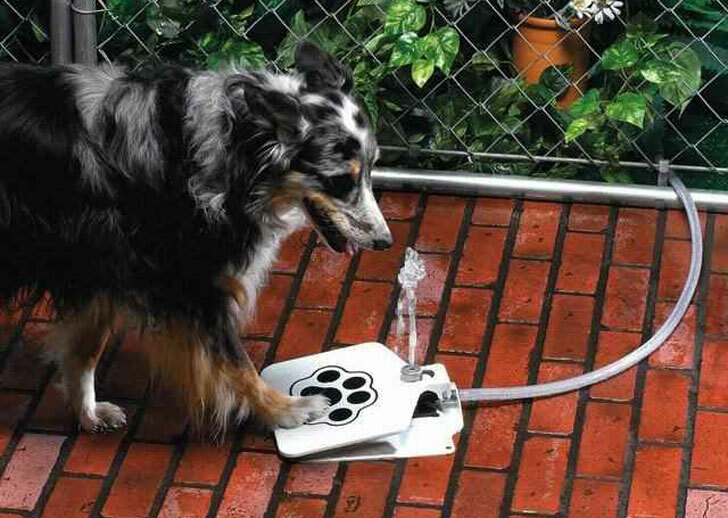 Teach your dog to be a clever boy by training it to have a drink by using this dog pedal water fountain, a very handy dog product. If you’re looking for cool, unique products for your best friend, go to www.awesomestuff365.com for more information. A great site with great products! Your favorite oldies are playing right now on Edgewater Gold Radio! The best music on the best station! Download the free Edgewater Gold Radio app or listen from our website Edgewatergoldradio.com. Several years ago, a friend of a friend of mine was driving on the Long Island Expressway with his two dogs. He was side swiped by a truck. The front windshield was shattered and the car was totaled. Miraculously, neither he or his smaller dog was injured seriously. The smaller dog remained in the car. His larger dog, got so terrified, that it leaped through the shattered windshield and began running down the Long Island Expressway. If anyone knows the L.I.E. you know that it is always loaded with tons of traffic and lots of trucks! The man got out of the car, took his smaller dog and began running down the highway to look for his larger dog. What a horror!! The good news is that he did finally catch up with his dog who was still very scared and all three quickly got out of this awful situation. When he got back to his car, the cops were there wondering why he left the vehicle. Who cares!! As long as he and the dogs were safe. How could we protect our dogs and cats in the event of an accident? 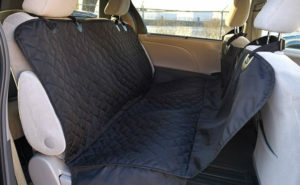 It’s always much safer to keep them in their cat or dog crate but lots of dogs love riding in the car with their owners. I would then recommend, getting them a dog harness that’s called a “roadie.” You can get them from ruffrider.com. 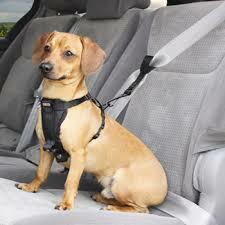 They work like a seat belt and strap your dog in and restrain him. I would always recommend either the crate or the harness. Drive safely all the times, especially if you have children or pets with you! The oldies are playing 24/7 on Edgewater Gold Radio! The 50s through the 80s all the time! Our 60s and 70s weekend continues. Download the free Edgewater Gold Radio app from your app store or listen on our website: edgewatergoldradio.com. Cats usually don’t like change. If you have to change your cat’s diet for any reason such as a medical condition, you may be in for a tricky situation. When you give her the new food, she may look up at you like she’s saying “are you kidding? 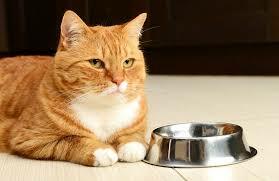 Do you think I’ll really eat this?” Whatever food you feed your cat, it must be well balanced. When changing your cat’s diet, you must do it slowly. 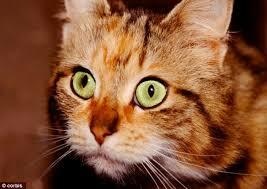 A sudden change could upset digestion and it could even make your cat sick. If this happens, she will never eat the “new” food. When changing her diet, mix a small amount of the new food in with the old food. Feed the mixture for about two or three days. After this period, start increasing the new food and decreasing the old food. Do this for about 3 weeks until she’s eating all of the new food normally. Now, if she decides not to eat the new food, go back to the mixture again. Cats like their food at room temperature or warmer. Try warming the food a little to stimulate her smell. The oldies are playing all the time! Edgewater Gold Radio! Join us for our 60s and 70s weekend! The greatest oldies of your life! Download the free Edgewater Gold Radio app or listen from our website: Edgewatergoldradio.com. Adopting a dog from a shelter or purchasing a puppy from a breeder is a matter of personal preference. Both have their advantages and disadvantages. Labradortraininghq.com has put together a guideline that can make this important decision a little easier. You can see your puppy’s parents and have a good idea what your puppy will look like as an adult. You’ll also be able to see the environment where the pup spent the first few months of life. You know exactly what you’re getting in terms of the dog’s breeding and linage. No surprises! You will have the opportunity to mold your puppy as it grows. If you’re buying from a good breeder, the puppy will already come socialized, be comfortable with household noises and traffic, and may even know some basic training commands. Many breeders offer genetic health testing to confirm that your puppy is unlikely to develop any inherited diseases. Most breeders not only breed for conformation, but for solid temperaments. While this doesn’t guarantee your dog won’t grow up to be a nut, it improves your chances they will be a solid adult. Breeders are essential if you plan to take your dog to the show ring. They must be papered to compete. You’re buying a puppy. They are a lot of work, just like a human baby. Prepare for the perils of potty training and corralling little life forms whose sole purpose is to poop, pee and chew all over your home. They will also need to be fed multiple times per day and taken out at all hours. You are responsible for the training of your puppy. They are a blank slate; be sure that you know what to write on it. 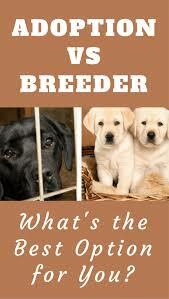 Breeders are usually much more expensive than getting your dog from a shelter. Depending on the location and breed, most breeders run from $500 to $1500 for a pup. Puppies need multiple vet checks and vaccinations during their first year of life. In addition to this expense, you will need to cover the cost of sterilization. This means that you could pay higher upfront costs just getting your puppy to adulthood. Finding a truly reputable breeder that cares more for about quality than quantity can be difficult. In an ideal world, there would be no need for shelters and every pet would have a loving home. Unfortunately, this is not the case for the 3.9 million dogs and 3.4 million cats that enter US animal shelters each year. While many of these animals go on to find loving homes, 1.2 million dogs and 1.4 million cats are not so lucky and are euthanized each year because there is no space or money to house them. There are many good reasons to adopt a shelter dog. You are saving two lives. You’re saving the life of the dog that you adopt and the next dog that needs that space in the shelter or rescue by opening up a new kennel. Most adult shelter dogs have all of their vaccinations up-to-date. You won’t have to go through that expensive puppy year, unless you adopt a puppy. Also, shelters usually spay or neuter all of the dogs leaving their facility, saving you those extra expenses. It’s much less expensive to adopt than purchase from a breeder. Most shelters charge $150 adoption fee. This covers the cost to house and feed the dog, have them sterilized and microchipped, and have their medical evaluation and necessary medications. That’s a pretty good deal by today’s rates! Some shelters also give you a voucher for a reduced or free first vet visit. Many adult dogs have lived in a home previously and are already potty trained. Some may even have more advanced levels of training. Shelters and private groups often will take the dog back if it’s not a good match for your home. When you adopt an adult dog, you have a good idea of their temperament and size. With a puppy, their future is a gamble. Most shelters give a temperament evaluation before placing the dog. The staff can advise you of a personality that would best fit your family. Most hereditary issues show up in dogs before their second birthday. If you adopt a dog after this time period, you have less of a chance of having hereditary illnesses. While it hasn’t been fully proven, most vets attest that mixed breeds often have less inherited diseases. However, this isn’t always the case. Mutts can get dealt a bad DNA hand as well. Just like people, dogs react differently when going through traumatic situations based on their personality. Some pooches just roll with the punches while others suffer emotional scars from their abandonment or abuse. Many shelter dogs come from very bad pasts. More sensitive dogs may require extra patience to bring them out of their shell. You may not know the exact breed of your dog. However, this is only a bad thing if you plan to show. Mixed breed dogs are just as smart, capable and beautiful as purebreds. In fact, one shelter is creating a fun campaign to celebrate the one-of-a-kind nature of mixed breed dogs – giving them unique breed names. Thanks again to Labradortraininghq.com for providing this very useful information! The greatest oldies are playing all the time on Edgewater Gold Radio! The 50s 60s 70s and 80s play all the time on Edgewater Gold Radio. Tell Alexa to “play Edgewater Gold Radio or listen from our website: www.edgewatergoldradio.com.